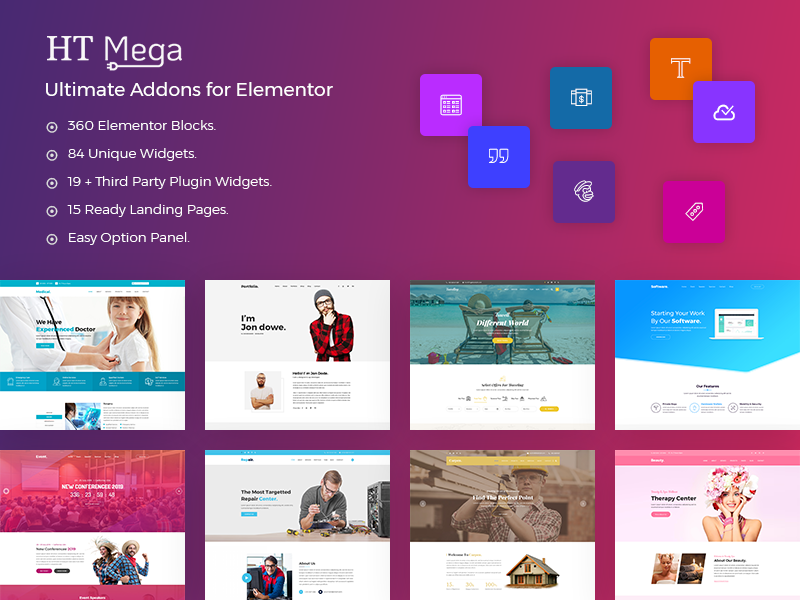 HTMega is a ultimate addons for Elementor includes 80+ elements & 360 Blocks with unlimited variations. HT Mega brings limitless possibilities. Embellish your site with the elements of HT Mega.